Exhibit at the AHMP 2019 National Conference and Solidify Your Company’s Position in the EHS&S Market. If you’re in the environmental, health, safety and security (EHS&S) industry, AHMP’s National Conference is your opportunity to get in front of the largest gathering of professionals devoted to the EHS&S industry who are looking for suppliers they can trust. They seek the latest advances in technologies and services vital to their success in a global market. They are counting on you to fill that need. 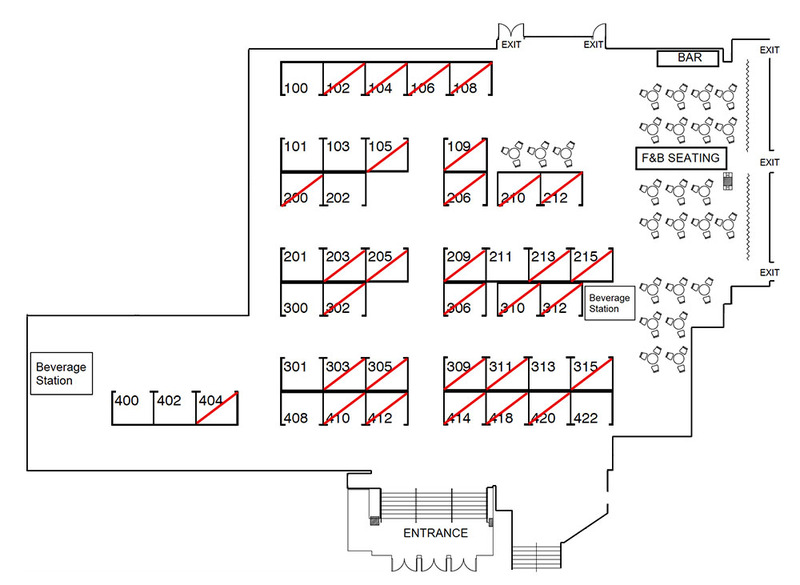 Exhibitors enjoy dedicated exhibit hours with receptions, breaks, and exhibitor prize raffles designed to lead your target audience directly to your booth. Your competitors and customers will be here—make sure you’re not missing out. to your computer before printing. Hard wall structure (8' high back wall and 3' high side rails), One 6' draped table, Two chairs, Wastebasket, and Carpet. Hard wall structure (8' high back wall and 3' high side rails), Two 6' draped tables, Four chairs, Wastebasket, and Carpet. Booths are assigned on a first-come first-served basis after payment has been made. To reserve booth space, fill out the application form online or download it to your computer and return the form with payment. If you have any questions, please contact Barbara Bienkowski.